Confused about which vitamins to take? 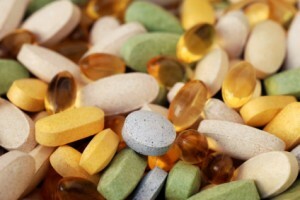 Worried that you are wasting money on vitamins your body can’t absorb? The Fantastic Four Program provides you with top of the line vitamins at a great price! Did you know that not vitamins are created equal? When it comes to vitamins, quality is the key! In the book, The Comparative Guide to Nutritional Supplements, by Dr. Lyle MacWilliam, has evaluated over 1,500 supplements available in Canada and the United States. Each supplement was given a Health Support Proﬁle based on 18 criteria. Each product was then given a score based on a star system (zero to ﬁve stars) with ﬁve stars being the best. When I show the book to my patients, many are shocked to see that the multivitamin they have been taking for years scored 0.5 stars out of ﬁve! In contrast, high quality vitamins, often available through a natural health provider, can provide you with a high absorption rate (close to 100 percent in some cases). So the question is: would you rather pay $10 for vitamins that only let you retain 3% to 10% of the nutritional value, or spend a little more money for vitamins that let you retain 100% of the nutritional value? It’s a no brainer for me! 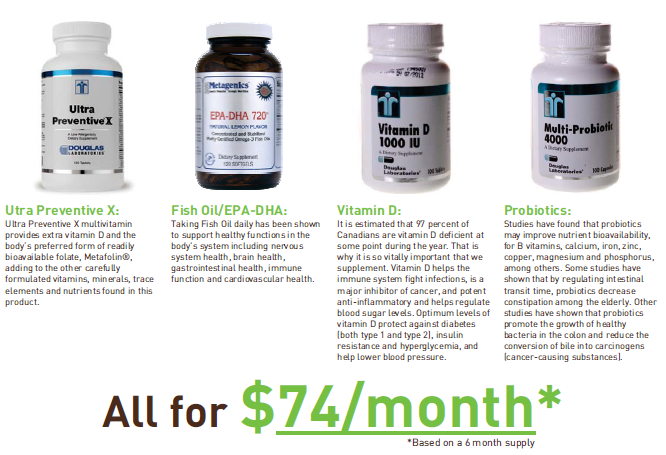 Sign up to the Fantastic Four for a 6 month supply of the highest quality vitamins at a monthly discounted rate. The Fantastic Four Makes Taking Good Quality Vitamins Easy! We make achieving optimal health easy by telling you what type of vitamins you need and how many to take per day!